The first study to both show and measure the effects of cognitive-enhancing drugs such as modafinil, methylphenidate (best known under the trade name Ritalin), and caffeine, on chess play is being published in the March edition of the peer-reviewed journal European Neuropsychopharmacology. This shows significant cognitive improvements for modafinil and methylphenidate, and may have influence how these drugs are used off-label in a range of activities. The study shows how certain drugs can alter and even improve the way in which the brain processes complex information. As applied to chess (and other fields), this supports the possibility pharmaceutical enhancement giving a player a competitive advantage. The World Chess Federation, FIDE, recognised this by introducing an anti-doping code in 20141. Now a new double-blind randomised controlled trial by scientists from German and Swedish universities has shown that the cognitive enhancing drugs, modafinil, methylphenidate, and caffeine can improve chess play. Previous research had shown that the drugs could improve cognitive performance when a subject was tired or was performing below his or her optimal performance, but this is the first work to show improvement of cognitive performance even if the subject is performing at a very high level. The team, led by Professor Klaus Lieb (University of Mainz, Germany) gave 39 male chess players controlled doses of one of the drugs modafinil, methylphenidate, caffeine, or a placebo. 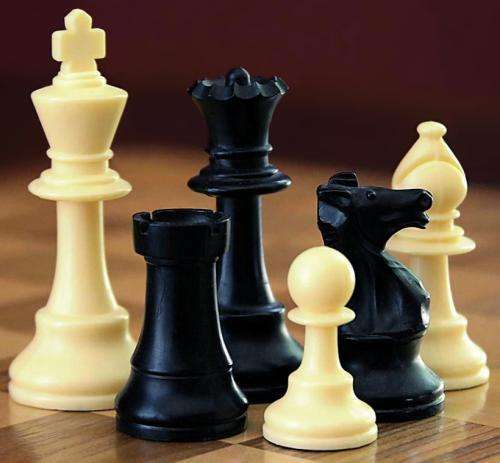 They then played a series of rapid, time-limited (15 minutes) games against a chess programme (the popular Fritz 12 programme) which had been matched to the strength of each individual player. This was a 4-day "crossover" study, meaning that the player had who taken modafinil on day 1 would receive a different drug (or placebo) on each subsequent day, and so on. In total the researchers gathered data from over 3000 chess games. "One of the strengths of this study is that the chess programme provides a reference point to measure the cognitive effect," commented Professor Lieb. They found that all three substances tested caused the players to increase the time needed to decide on a move, meaning that more games were lost as the players ran out of time. However, when the analysis was corrected to take out games lost on time, the team found that both modafinil and methylphenidate significantly increased the players' scores, whereas caffeine showed a more modest, but not statistically significant improvement. "We were surprised to see that players on the drugs played more slowly than normal, indicating that their thought processes seemed to be deeper," said Professor Lieb. "The key to this work is in understanding that players showed an improvement if under less time pressure. The results themselves would be pretty significant in chess terms. For example, both modafinil and methylphenidate gave an improvement coefficient of around 0.05. If we correct for the slowest players, then the effect would be the equivalent of moving a player from say, number 5000 in the world ranking, to number 3500 in the world ranking. In a single game, the effect is the equivalent of having the white pieces, every time, which give around a 5% better chance of winning. These differences can be pretty significant in a competitive sport or game. But this work also allows us to put a figure on the way that the use of these drugs can affect the way we think in a range of everyday intellectual activities, such as studying for an exam." The researchers stress that the use of these drugs as cognitive enhancers are 'off-label' uses, and may have significant side effects, especially with repeated use. As all pharmaceutical substances have risks and benefit, there is little data that compares the benefit of cognitive enhancement against any risk or side effect. They also note that this is a comparatively small study, and requires replication before firm conclusions can be drawn. "Chess involves several higher brain processes including working memory, planning, cognitive flexibility and cognitive control. Drugs such as modafinil have previously been found to enhance performance of such cognitive functions in laboratory based studies of non-sleep deprived volunteers, although sometimes at the cost of prolonging response times. This work, one of the first to study drug effects on chess, shows that these performance enhancements can translate into real-world activities in this study of chess players who improved their performance, though sometimes at the cost of losing on time. ". Professor Robbins won the Brain Prize in 2014, which is considered the most important international neuroscience prize. "We have known for decades that stimulants improve sustained performance through reducing fatigue effects on attention and vigilance. So these current data provide new and controlled data in chess - a test of complex cognitive function. It's likely that other stimulants could do the same so this does raise interesting issues for regulators of these activities. Clearly, more research is needed."